The 4×4 Experience Inc. was founded by the iconic Canadian off-road driving instructor Andy Philpot, a dedicated Land Rover Series II fan and has been in business for many years in a variety of roles but always associated with Land Rover vehicles. Together with the current owner, Kevin Girling, customer experience events (Wheels Events) for dealerships was a core activity with multiple events run every year. Sadly these came to an end when the worldwide economy took a nose dive and thereafter the focus for Land Rover appeared to shift to all road luxury vehicles rather than off-road and no Wheels Events have been run in recent years. The company was also involved in the planning and execution of media events for Land Rover Canada with the most significant event being the launch of Freelander in Moosonee in the middle of a Canadian winter. This major exercise included fitting out journalists with $700 arctic jackets for the occasion, the transportation of a fleet of vehicles by rail, the only way in or out of Moosonee by surface, and chartering a British Aerospace Jetstream to transport journalists from Toronto to Cochrane in northern Ontario. Ontario Northland runs both the Polar Bear Express (the tourist train) and the Little Bear (supplies and passengers) between Cochrane and Moosonee and this expedition involved chartering a dedicated carriage for our guests complete with Cree guides for the trip north. Eco Lodge on Moose Factory Island was transformed into Land Rover Lodge for the event which included driving the winter road (only accessible in winter when the tundra is frozen, driving events on the frozen Moose River, dinner cooked and served in a traditional Cree teepee and cultural briefings. Following his retirement Andy handed the company over to the present owner. A new venture was producing North American Land Rover news and international feature articles for the UK Land Rover magazine market including Land Rover Owner international, Land Rover enthusiast and Land Rover World. Kevin travelled all over the world to cover stories with the most memorable experience being a safari in Southern African, Defender Trophy in South Africa and being one of the only journalists in the world to drive probably the most expensive Land Rover in the world – the Longnose. The 4×4 Experience and our team of support staff also developed and ran Land Rover Café at the Billing Land Rover show for several years with Land Rover Coffee shipped in from Costa Rica where coffee is still transported from the plantations high on the sides of steep hills to the farms by pristine, low mileage Series vehicles from the 50’s and 60’s. This was another exclusive story covered by owner Kevin Girling. Today the focus is on Land Rover memorabilia and accessories for the Defender range of vehicles. The family 110 is a test bed for many of the products sold today and emphasizes our aim of using what we sell. 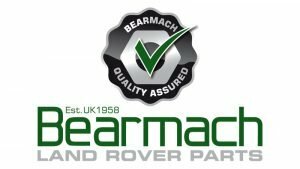 Bearmach are a dedicated supplier of genuine, OEM and Quality assured Bearmach branded parts and accessories to for the full range of Land Rover vehicles. Founded in 1958 as a family company Bearmach have grown to become one of the largest independent suppliers of Land Rover parts and accessories worldwide. Our continual investment and innovative approach to the market has enabled us to remain leaders in our industry. Bearmach was the first company to specialise exclusively in Land Rover parts and accessories and over the years we have built up stocks of over 10,000 lines including genuine, OEM and Quality assured Bearmach branded parts. MUD-UK is an off-road outfitter based in the heart of the Pennines specializing in the design and manufacture of an exclusive range of innovative products aimed primarily at the Land Rover Defender. Established in 2003, MUD has gained an enviable reputation with Land Rover owners all over the world for quality products backed up by quality service. 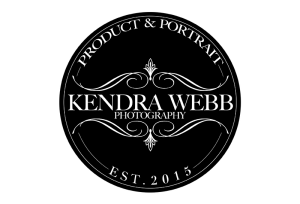 Product photography by Kendra Webb.